Winkeyer2 has been incredibly popular and is the standard host controlled CW processor. It has been imitated but there is none better than the original. Many hams have found this out the hard way. We have added a tremendous number of improvements to Winkeyer3's standalone mode making it the best value in keyer ICs. Version 3.0 is the last Winkeyer you will ever have to buy, it supports in field update so as K1EL continues to add improvements and fixes, you can apply them to your keyer right way at no extra cost. We have also added improvements and fixes to Winkeyer host mode which everyone will like. 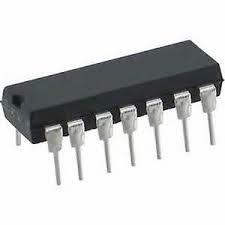 We have kept the same pinout and IC package so upgrade is simple and easy.